Comics Club is now on it’s well earned Christmas break. What a year it has been! 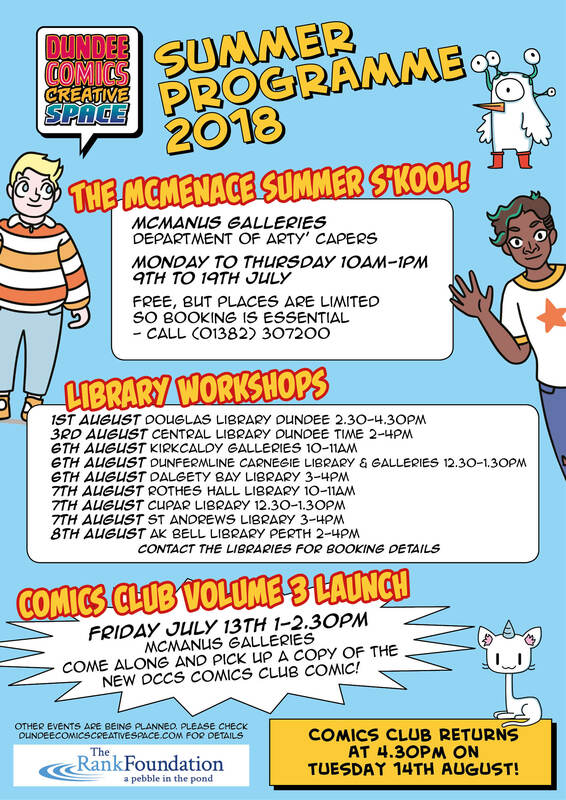 Over 100 comics workshops for young people, a summer school at The McManus, and library workshops in Dundee, Perth, and Fife, as well as schools workshops in Fife, Brechin, and Dundee. We also partnered with The Circle to run a workshop programme outside the city centre. We produced three anthologies of comics by our young Comics Clubbers, as well as several zine style comics. Ink Pot artists continued to produce some amazing work, including the INKTHOLOGY, as well as working with the University of Dundee to produce comics raising awareness of suicide, organ donation, the University archives, and the history of The Brittle Bone Society among others. The was even a short comic explaining the Dundee City Council participatory budgeting initiative! So time for a break and this time it will be a little longer than usual. There are a few changes happening behind the scenes at DCCS including a move to new premises so we need a little longer to prepare. Don’t fear though we are not moving far – just to another unit in the Vision Building! Workshops are scheduled to start up again the first week of February in Unit 10 just across the landing from our current space, Unit 7. Keep an eye on our website and sign up to our newsletter if you want to keep up to date with the changes. Have a great holiday and see you next year! 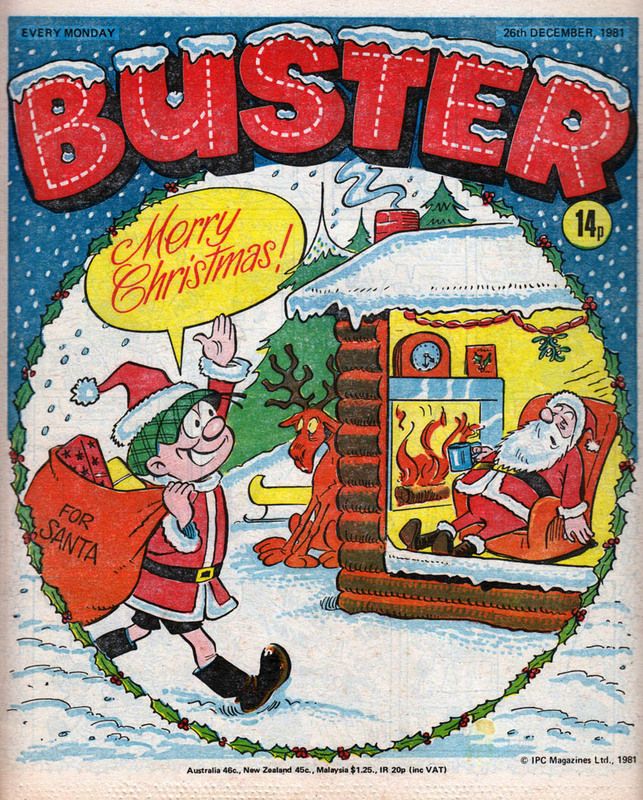 Buster 26th December 1981 © IPC magazines. Scanned by Lew Stringer. Posted on December 18, 2018 December 18, 2018 by dundeecomicscsPosted in Comics Club, workshopsTagged christmas, comics, Comics Club, dundee, holidays, Ink Pot, inkthology, workshops. The workshops take place at DCCS HQ in The Vision Building, follow the link for details. In addition to the regular clubs we have teamed up with The Circle in Staffa Place to run a 10 week programme of workshops beginning THURSDAY September 6th from 4.30pm. The Circle is a hub for charities, social enterprises, community groups and socially aware businesses in Dundee, and working with them helps make our workshops accessible for more people across Dundee. See the flyer below for more details, places can be booked here. 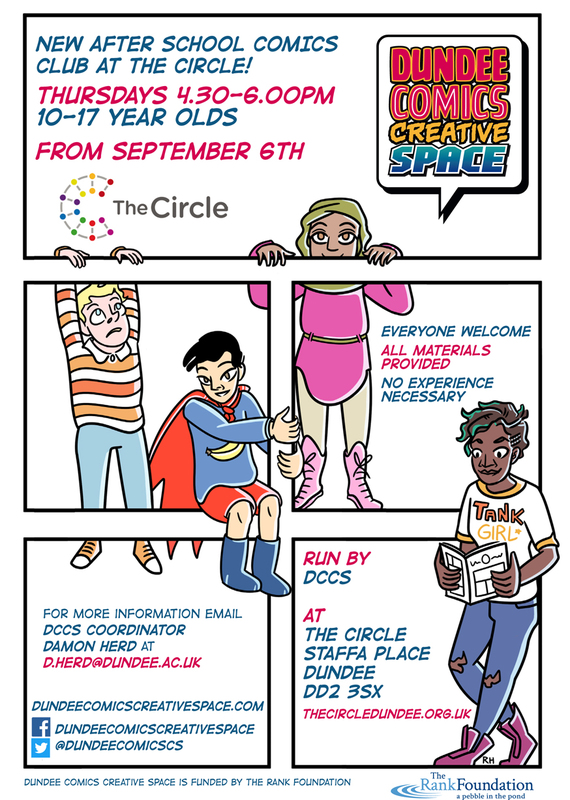 Posted on August 24, 2018 August 24, 2018 by dundeecomicscsPosted in Comics Club, workshopsTagged art, comics, Comics Club, drawing, dundee, the circle, vision, workshops, young people. Posted on August 3, 2018 August 3, 2018 by dundeecomicscsPosted in comics, workshopsTagged beano, comics, Comics Club, community, libraries, reading, workshops. Our pals at Comics Club Blog asked us to do their Comics Challenge for November. We thought it was a great chance to share the workshop that we have been doing for the Being Human Festival and inspired by Gulliver’s Travels. Click on the links to try it out for yourself, and while you’re there check out all the cool stuff they have been up to! Posted on November 29, 2017 by dundeecomicscsPosted in Comics Club, workshopsTagged being human, Comics Club, gullivers travels, workshop. DCCS is running comics workshops as part of the Being Human Festival from 2-5pm on 22nd November in the Dalhousie Building room 2S14, University of Dundee. Details below. All Welcome! What is the Google brain doing to our imagination? Are lie detectors always honest? What is bullet time? What is monster theory? The Imaginarium, a showcase for the arts and sciences, comprises eight rooms in the Dalhousie Building at the University of Dundee stuffed with ongoing, drop-by activities (i.e. come by when you can). Ushers will be available to take you on a tour of the different rooms on the day itself. (8) The Imaginarium Lightning Lectures (Lecture Theatre 1: 2-5pm, details below). Various rooms will also include looped film screenings, such as Dame Sue Black’s Martian Autopsy and various classic animations of Gulliver’s Travels. 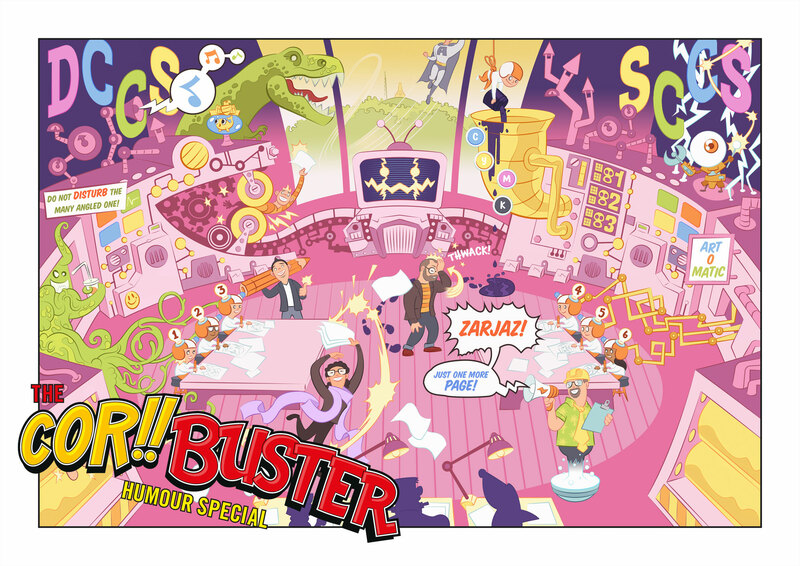 Posted on November 16, 2017 by dundeecomicscsPosted in Events, workshopsTagged being human, comics, gullivers travels, imaginarium, jonathan Swift, pop-up, workshops. On Monday May 29th we are hosting a drop-in workshop at West Ward Works as part of Dundee Design Festival. Come along between 11am-1pm to meet our expert crew who will be on hand to help budding comics creators bring their imagination to the page. More details here. Posted on May 23, 2017 by dundeecomicscsPosted in comics, workshopsTagged comics, design, dundee, festival, West ward, workshop. This week’s webcomic is part 3 of Andy Strachan‘s Comic Making Tips. Catch up with part 1 here and part 2 here. Posted on January 25, 2017 February 2, 2017 by dundeecomicscsPosted in web comics, workshopsTagged andy strachan, comics, comics school, tips, webcomics. Start of a new school term means that it is also the start of COMICS CLUB! All welcome, no experience necessary, all materials provided. Free of charge, just turn up! Posted on January 9, 2017 by dundeecomicscsPosted in Comics Club, workshopsTagged back to school, cartoons, comics, Comics Club, drawing, dundee, making, workshops. Our older Comics Clubbers have been learning some digital image making skills over the last couple of weeks. They have been finding out how to separate line art in Photoshop and add colour and shading, with some great results! Clockwise from top left, the art is by Jenni Michie, Eilidh Dolan, Islay Barrie, and Emily Irvine. Posted on December 17, 2016 December 15, 2016 by dundeecomicscsPosted in Comics Club, workshopsTagged characters, colour, comics, digital, eeyore, tintin.